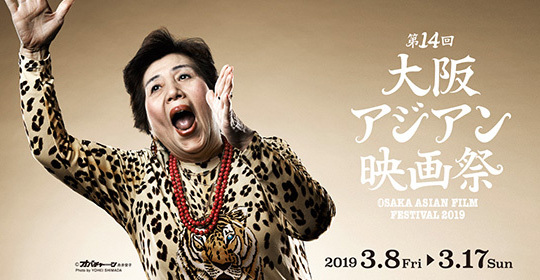 The Osaka Asian Film Festival 2019 (OAFF) is back for its 14th edition and it promises a wealth of cinematic experiences from across Asia with a healthy selection of local indies programmed alongside international award-winners, auteur works, modern classics and genre cinema. I’m working at the festival again so I’ve got a lot of writing to do and I originally wrote this for V-Cinema to introduce the films. The festival runs at various locations in the city from March 08th through to March 17th and organisers have carefully created a programme consisting of 51 films from 17 regions including 10 world and 9 international premiere films. Over half the titles will be screened in Japan for the first time and there will be filmmakers travelling from across the world to join film fans and take part in Q&A sessions to give more information about their works. Shinya Tsukamoto will receive the NIPPON HONOR AWARD at the 19th Nippon Connection Film Festival in Frankfurt am Main, Germany (May 28th – June 02nd). Shinya Tsukamoto tweeted this news earlier in the month and it has been confirmed by a press release sent out on Tuesday this week. This is the fifth time the award has been bestowed on someone and it goes to a person who has made outstanding contributions to Japanese cinema. I can’t think of a better person at the moment! Fans of Japanese films who have followed this blog for a while will know I am a big fan of the actor and director, editor and cinematographer. He was one of the first directors I went and wrote a biography for and reviewed a whole bunch of his films (my favourite being Vital). In fact, I met him at the Raindance Independent Film Festival a few years back and had my picture taken with him just before a screening of Fires on the Plain!